She is a co-founder and COO of C.(cee-dot) based in Seoul, Korea. She tries to promote social innovation and social changes by connecting and engaging people who devote themselves to make positive changes and impacts in out society. 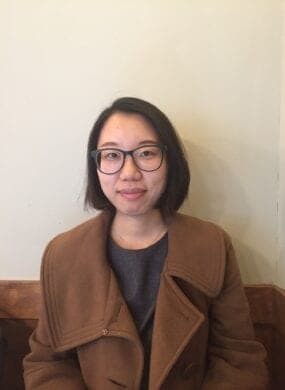 She has been involved in bridging knowledge and experiences with social innovation, economy or investment organizations such as Project Innovation of Columbia University(USA), Cinnovate(China) and GoodLab(HK) based on the understanding of social innovation and social economy sector in Korea. She used to be a researcher at the Center for Social Economy of the Hope Institute which is a civic think and do tank in Seoul, Korea. Ahyoung has conducted various projects in terms of community regeneration, community business, social enterprise incubation, partnering with local governments (Seoul, Suwon, Seongnam) and social organizations. Mainly, she supported social entrepreneurs in local communities to build up business model and capacity for sustainability. She was also an editor of weekly social economy report delivering in-depth articles and real time news in domestic and overseas about social economy sector. In terms of international working experience, she was a member of the team that started the first Asia NGO Innovation Summit in 2010, and took part in many international events and conferences to help people connected and engaged each other.